[R][C][C] Heat Tackle: 40 damage. 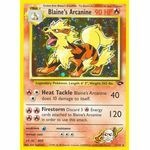 Blaine's Arcanine does 10 damage to itself. [R][R][R][R] Firestorm: 120 damage. Discard 3 [R] Energy cards attached to Blaine's Arcanine in order to use this attack. [R] Roaring Flames: 20+ damage. Discard all [R] Energy cards attached to Blaine's Charizard. 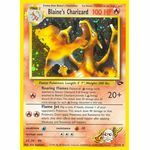 If all Energy cards attached to Blaine's Charizard provide 2 [R] Energy, discard all of them. This attack does 20 damage plus 20 more damage for each [R] Energy discarded in this way. 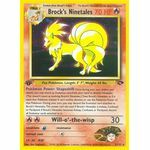 Pokemon Power: Shapeshift: Once during your turn (before your attack), you may attach an Evolution card from your hand to Brock's Ninetales. (This doesn't count as evolving Brock's Ninetales.) Treat Brock's Ninetales as if it were that Pokemon instead. It can't evolve, devolve, or use the Pokemon Power of that Pokemon. During your turn, you may discard the Evolution card attached to Brock's Ninetales. This power can't be used if Brock's Ninetales is Asleep, Confused, or Paralyzed. 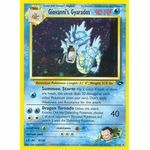 If Brock's Ninetales becomes Asleep, Confused, or Paralyzed, discard all Evolution cards attached to it. [G] Growth: Flip a coin. 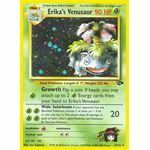 If heads, you may attach up to 2 [G] Energy cards from you hand to Erika's Venusaur. 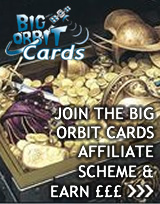 [W] Summon Storm: Flip 2 coins. If both of them are heads, this attack does 20 damage to each other Pokemon (even your own). Don't apply Weakness and Resistance for this attack. 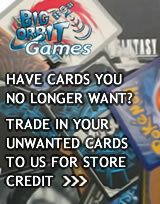 [W][W][C][C] Dragon Tornado: 40 damage. Unless this attack Knocks Out the Defending Pokemon, choose 1 of your opponent's Benched Pokemon and switch it with the Defending Pokemon. 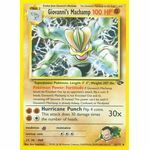 Pokemon Power: Fortitude: If Giovanni's Machamp would be Knocked Out by an opponent's attack, flip a coin. If heads, Giovanni's Machamp is not Knocked Out and its remaining HP become 10 instead. This power can't be used if Giovanni's Machamp is already Asleep, Confused, or Paralyzed. [F][F][F][C] Hurricane Punch: 30x damage. Flip 4 coins. This attack does 30 damage times the number of heads.